Lissa Dragomir. 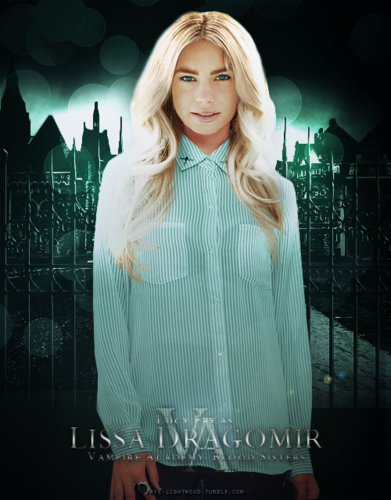 Lissa Dragomir Vampire Academy. Wallpaper and background images in the The Vampire Academy Blood Sisters club tagged: blood sisters vampire academy lissa dragomir. This The Vampire Academy Blood Sisters fan art might contain blus, pakaian luar, overclothes, pakaian, and kotak mantel.